The First 10 Educator on FI/RE Interviews: Reflections & Next Steps | Principal F.I. It might be the thing I’m most proud of with PrincipalFI.com. I was worried I’d started it too early, but almost instantly had offers to participate. And the response has been overwhelming – both from participants and readers. I’m talking, of course, about the Educator on FI/RE interview series. I announced the series in only the second month of the site and it’s been going strong ever since. I love sharing the stories, the connections I’ve made through the series, and the variety of paths people have taken. Now that we’re through number 10, I thought I’d take a moment to reflect a bit, share some themes and surprises, and talk about what comes next. Don’t worry – we have a new interview coming next Thursday! I reviewed all ten interviews (You can find a full index at the end of this post) to look at participation. Here’s what I found. I’m glad to see that all levels of the career ladder have already been represented. I’d love to connect with more classified staff searching for financial independence. Income at that level makes it challenging, but not impossible as Joy showed us. Surprisingly, administrators aren’t dominating with their relatively higher income. High school teachers are well represented! I’m not sure what to make of this yet, but I’m curious if readers have any thoughts? I hope to get more representation from all levels going forward. In particular, I’m curious about elementary educators pursuing FI. Mae from interview 6 is an elementary assistant principal. Any elementary teachers out there? Where Are They On The Journey? I ask this question partly to see where people are entering the conversation and as a way for readers to identify others at the same stage. I’m happy that we have some examples of educators who have already achieved financial independence. Most are at various stages from simply paying off debt to closing in on their goal. As I connect with more readers, I hope to engage new FI seekers and convince them to submit their story. I always find it helpful to hear how people just discovering the concept are accessing the journey. 50% of participants are other personal finance bloggers, and 50% are readers. I like this balance! 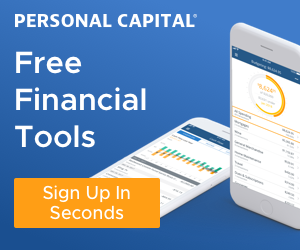 I hope to continue drawing heavily from readership and am always thrilled to feature others writing about personal finance and financial independence topics. 90% of respondents are (I think?) educators from the United States. This makes sense, as I write from the perspective of an educator in the US system. I think it’s great to compare across systems and appreciate Frogdancer for jumping in to represent the Australian educator perspective. I hope to feature more educators from other systems going forward. 3 interviews featured people building financial independence on a solo educator income. All women! Those last two push back on what I see as a common trope: Wealthy teachers are simply the spouse of a higher-earning partner. This group is proving that wrong! 70% of Educators on FI/RE are doing it only on educator incomes! Finally, I don’t ask about age, but from reading the career experience ranges, the group represents people from all workforce generations. My biggest take away from reviewing the participation is that our first ten have represented the variety among educators seeking financial independence. It’s been better than I could have imagined and I hope to continue that trend going forward! Over the first ten interviews, I saw several clear themes. Some were surprising – others weren’t. All have caused me to celebrate or reflect on both my individual work and our profession in general. Unlike some other FI job classes, so far the respondents in the series are not running away from their jobs. In fact, none indicated early retirement as a driving force. Many see it as a possibility, but not a desperate need. This was somewhat (pleasantly) surprising, and confirmed what I believe about my colleagues: we are passionate about our work. There was near-universal agreement that the growing number of requirements and time spent in meetings are the worst parts of the job. This one was consistent across systems! While they love the job, educators also feel that they are spending less and less time on the important parts. This may be why several mentioned they might leave the system to work on education issues as volunteers or in non-profits after reaching financial independence. I’ve certainly experienced similar frustration. As an education leader, it’s important for me to keep in mind when developing expectations, professional development plans, and job requirements. I try to ensure that when I take people’s time it’s valuable for everyone and leads to action rather than pointlessness. How can I empower those passionate about the work? How can we ensure all students are being served without stifling creativity? This seems obvious to anyone who is paying attention, but so often we are sold the idea that there is a prescription or checklist. You can see how untrue that is just from these 10 interviews. We can’t, and shouldn’t, pretend that there is a template everyone can follow. We have educators building their path to FI through the career ladder. Others are using side hustles. Some use real estate to make extra money. Others are just using their wages, time in the market, and intentional spending. Some are currently dual-income no kid (DINK) households, but many are raising families. We have early starters and later-career FI seekers. All will be financially independent. They’ll just get there in different ways. This is why I’ll continue to write about my journey and make suggestions but never present it as a prescriptive path. It’s also why I’ll continue to seek out and feature as many of these stories as possible. I have some thoughts and hope to get some input from you as well. Please keep proving your feedback and comments on these interviews! When I launched, I wanted to make sure to build a solid base of interviews. My thought was correct – I’m amazed at the number of people who discover the series through a single interview and then take the time to read each one. I want to make sure we’re continually adding to the series without long breaks in between. I also need to acknowledge that readership is still growing. So far, I’ve been able to stay a couple of weeks ahead of publishing schedule, but I have fewer interviews on deck now than I did before. So, I’m going to publish new Educator on FI/RE interviews on the first and third Thursdays of every month going forward. Mondays will continue to be financial independence topics. On the other Thursdays, I’ll dive into a variety of topics, including bulking up the FI Lessons (kid related stories) posts. I’ve been pleased with the information the current questions draw out. I wouldn’t mind getting more specific strategy and number information, but I also want to allow for anonymity and comfort-level of participants. So, I don’t think I can make adjustments there. Is there anything you, as a reader, would suggest adding? What else would you like to hear from educators on the path? Let me know in the comments below. Finally, we always need more people willing to participate. The process is easy, anonymous, and can be done entirely at your pace. Participants just email me and I send the question templates. We resolve any questions or concerns mutually. We’ll make it work for you. If you are a reader, consider participating or sharing it with others you think might be interested. Help us keep growing the community! Thank you for a great start to our Educator on FI/RE interviews! I look forward to reaching 50, then 100 in the coming years. And the full list of our first 10 brave participants. Thank you all for starting off the series so well! As promised, next week we have another interview. You’ll get to hear from Dragon Gal of The Dragons on Fire! Subscribe here to be notified as soon as it’s published. Great summary and reflection. It’s so interesting to see what your participants all have in common as well as the diversity! I love seeing other people’s FIRE process. Awesome series! I’m glad you enjoy it, and I can’t wait to share your story soon. Number 4 was pretty great – I need to get some more international guests. And, I’ll keep publishing them as long as I have people willing to participate!